A lot has been said about Avatar. It made tons of money, and lots of people liked it. While zipping through the air in an aluminum tube some 30,000 feet in the air, I had the chance to finally watch it. I know what a lot of you may be saying, if you didn’t see it on a huge screen and in 3D, you didn’t really see Avatar. Let me first say a few things about 3D. Is that really what makes a movie good? Watching it in 3D in a theater? Does that add anything to the plot? Do the characters develop better in the third dimension? To me, 3D is mostly a gimmick that is meant to distract from a lack of any real content (though I admit I did hear that Avatar did a good job of incorporating 3D). Also, watching 3D movies makes me feel sick. I will be honest, I did not expect to like the movie. I had been hearing so much about how it was just Pocahontas in space, and I’ll be honest, I didn’t really care for Disney’s version of Pocahontas. That being said, I thoroughly enjoyed Avatar. The visuals were stunning, and despite stereotypical characters and a predictable story, it was enjoyable. To me, this movie illustrated that sometimes, it is not the story that is important, it is HOW you tell the story that matters. That being said, let me illustrate this point (spoiler alert). You have a corrupt corporation that has come from a world which has been depleted of all resources. The corporation is bent of making a profit, and so they explore new planets to make a profit. They come to a world with vast resources, but come into conflict with the natives, and because of their superior technology, win a quick victory. But there is a problem, the air on the planet is poisonous to the invaders, and they cannot access some of the resources they most desire. In order to remedy this, they try to make a peace offering to the natives in order to entice their cooperation. This ends up backfiring, and the natives become inspired to defend what is rightfully theirs. Relying on ancient methods and rallying under a new hero, a former puppet of the corporation, the natives lead an uprising against the corporation. Despite almost losing, the heart and virtue of the natives win out, and they are able to overthrow their oppressors. What movie is this? Why, it is Battlefield Earth, of course! Or it could be Avatar. Battlefield Earth is one of the worst movies ever made, and everything about it has been derided (even by me), but Avatar, with almost the same basic story, is considered to be one of the best movies ever made. 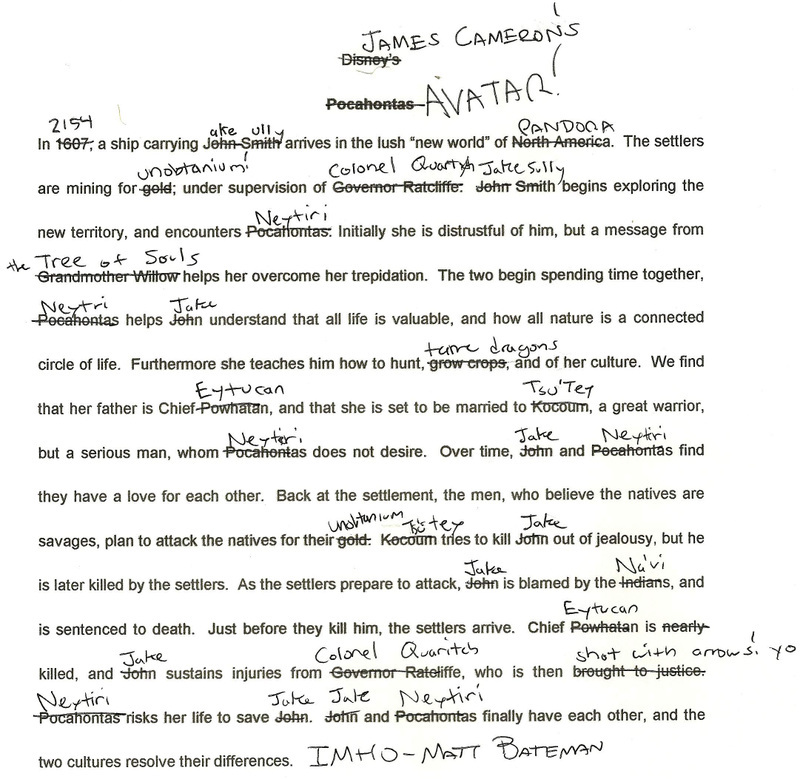 The true difference here is in how the story is told; and James Cameron knows how to tell a story. James Cameron took a generic story (seriously, “unobtainium” is the best name you could come up with? ), and told it in a way that was enjoyable and moving. If you haven’t seen it by now, you really ought to. I want you to know I put that in there just for you.